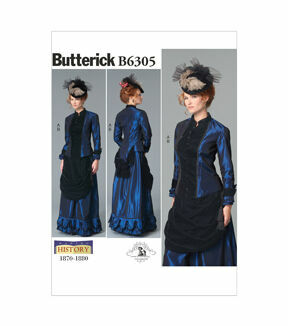 For you lucky folks attending a Titanic event this year and want to dress the era, look no further. 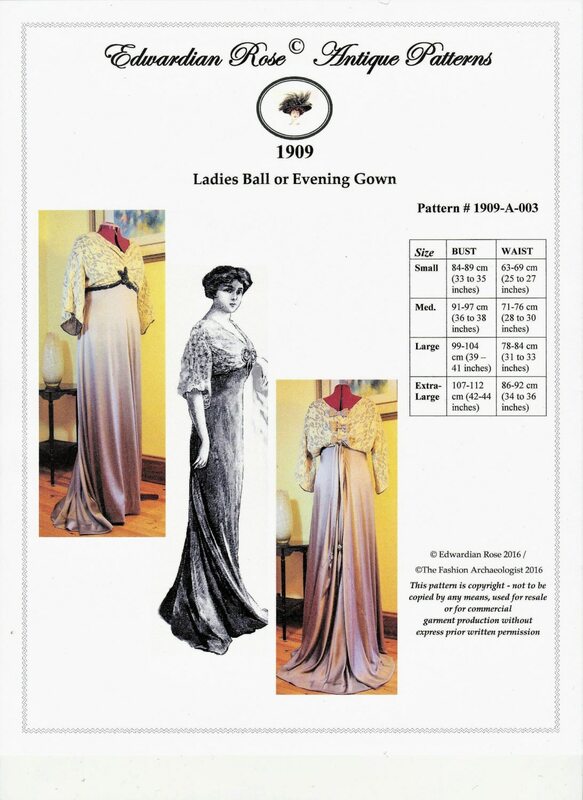 This guide will cover a brief history of the fashion of 1912, options to buy Titanic costumes, reproduction dresses and advice for sewing your own Titanic outfit. Titanic 1912 Mens Fashion. Click here for Men’s Day Wear or Evening formal wear and shoes. 1910 Dress, still popular in 1912. 1913, simple cotton day dresses for middle and upper lower classes. .
1913, Long white gloves covered arms in evening dress. 1912 fashions were part of the larger Edwardian Era and it’s subset the La Belle Epoque. It was a time of transitions from the large bustles and corseted dresses of the Victorian era to the boyish, flat-chested Roaring Twenties. 1910-1914 was especially unique. The corset became long and rectangular, giving the dress a tube shape. Although free from the excessive layers of petticoats, in the Victorian era women were not free from the strict social classes and dictated etiquette. Clothing showed these restrictions. 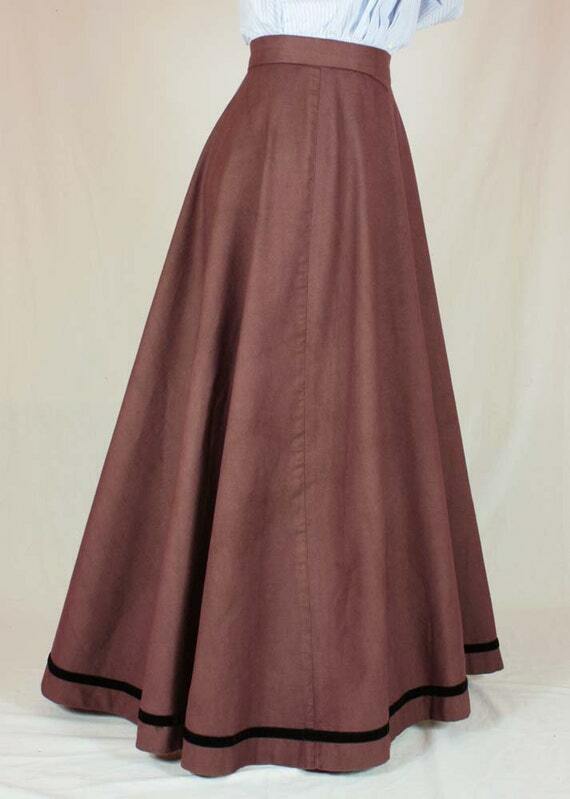 For example, the hobble skirt was a popular long, narrow dress skirt which allowed for only small tiny steps. This kept women looking dainty and doll-like. The amount of ornamentation on gowns — the extensive hand beading on dinner dresses — or the ornate jewelry that accompanied a first class woman’s wardrobe were a sign of very wealthy times. The Titanic herself was a showcase of extravagant spending and with her sinking ended such opulence. The coming war eventually sent the world into a much more conservative state, at least for a few years. Besides being long, narrow, and expensively decorated, women’s clothing was heavily influenced by the Orient. Japan was a newly discovered world by westerners. Men collected all things “Japanese” such as swords, while the ladies swooned over oriental silk materials and clothing designs. The kimono influenced dress styles (most of Rose’s day dresses in the Titanic movie were kimono style), and men’s smoking jackets took on the one button fastening just like Japanese robes. Even the hobble skirt was influenced by the Japanese Geisha who walked in very small steps. These extreme fashions were mostly worn by young women. The mature ladies didn’t fully embrace the new fashion. 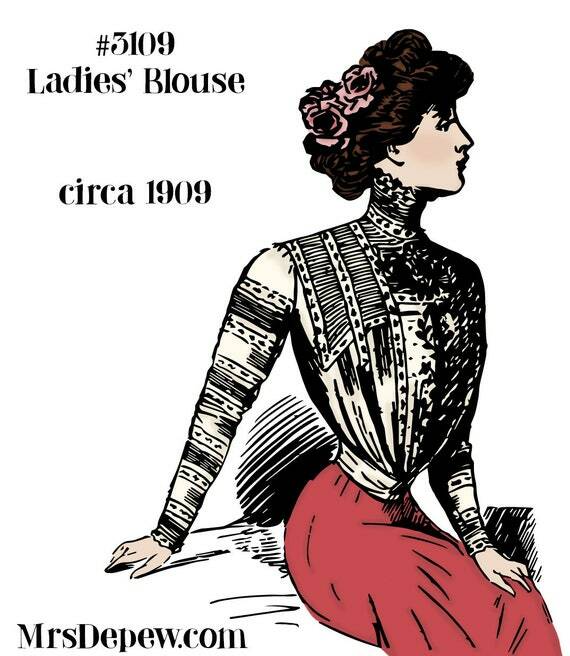 Instead, they wore fashions that resembled early Edwardian times: Large puffed out blouses with puffy shoulders and narrow long sleeves, attached to a full length a-line skirt with ruffles at the bottom. One thing that didn’t change much throughout the Edwardian era was the hats. These huge monstrosities of lace, feathers, ribbon, and stuffed birds required slow movement and a steady walk to keep balanced. 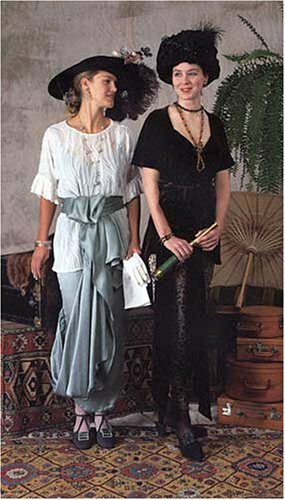 Learn more about the history of Titanic’s First Class Fashions or Second and Third class fashions. www.bustledress.com See Antique Titanic era dresses for sale. The sold items are still listed, so you can see what original dresses looked like. My Pinterest page for Titanic Fashion and clothing has many pictures for inspiration. Besides watching the various Titanic movies and documentaries for costume examples, be sure to watch season one of Downton Abbey, Somewhere in Time, The Grand Hotel and My Fair Lady. 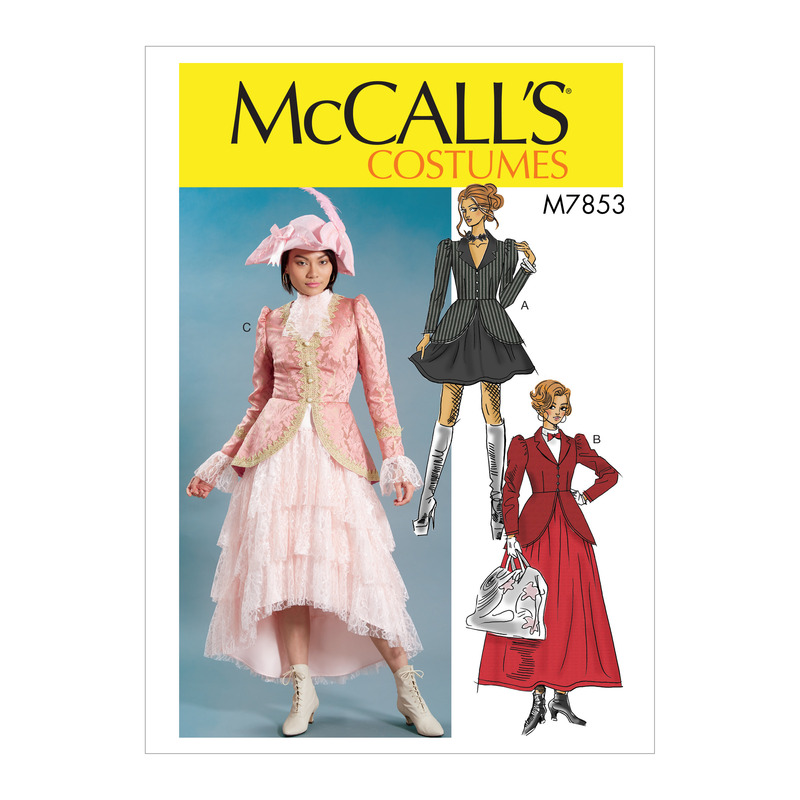 My Fair Lady is set during 1912, the same year Titanic sank, and features many gorgeous costumes with large hats, hobble skirts, and Asian inspired finery. The color of the gowns (mostly white) is historically inaccurate but the shape, style, and accessories are very much in line with the 1912-1913 designs. 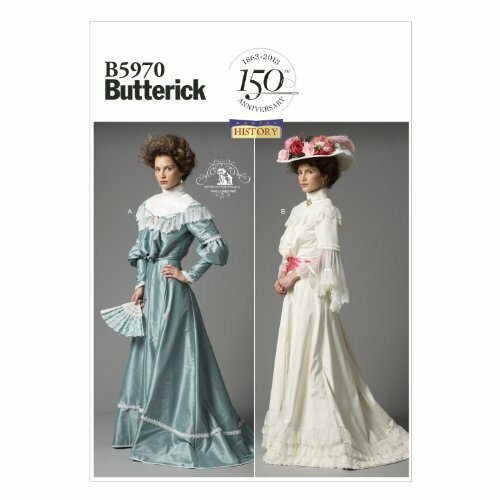 Since the La Belle Epoque years of fashion were so few, compared to the many decades of Victorian dress, the sources and options for buying pre-made clothing is small. What is available in the Edwardian era tends to focus on the early Edwardian times and the Gibson Girl look. That look has long A-line dark skirts with a light colored blouse and wide belt or long white Lacey ruffled garden dresses. These are OK to wear for the Titanic event. 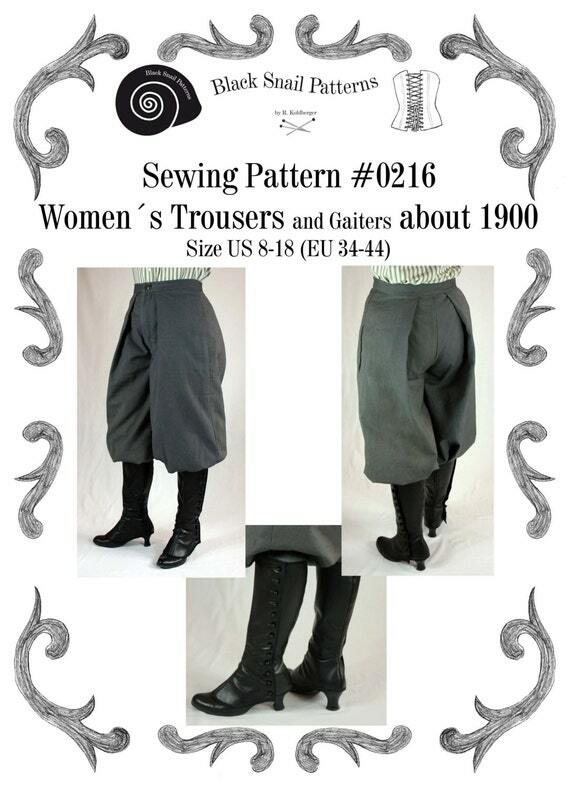 These styles still would have been worn by 2nd and 3rd class women. First class women would not have worn these, so I would decide what class you want to represent and buy accordingly. 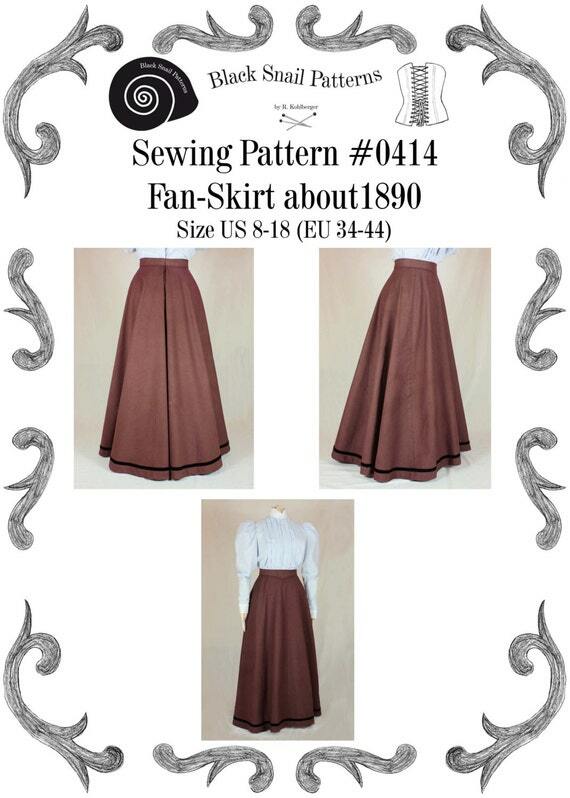 I love to browse online for historical clothing. 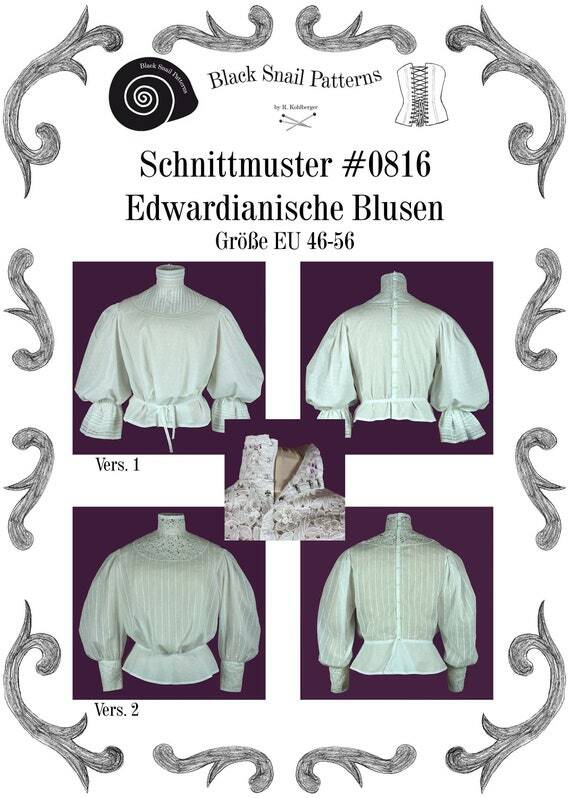 I especially like to find new clothing with elements of historical style. My finds are usually for accessories such as shawls, shoes, and jewelry. Start with the Edwardian Titanic shopping page where you can view everything at once and then click on the image to be taken directly to the retailer to buy the item. 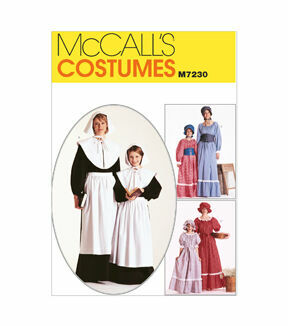 The quality of these items vary from inexpensive “costume / fancy dress” items to more authentic reproduction items. You should be able to find what you need within your budget. If you have trouble finding something, please leave a comment or contact me so I can help you. Wardrobe Shop – My favorites online site that carries Nataya dresses. Romantic tea dresses and wedding gowns. See these and more options of Edwardian day and evening gowns here. Recollections I don’t normally like their clothes because they are mostly made of a stiff quilters cotton, but they also have some new lace and chiffon dresses which are perfect for the Titanic era. Etsy.com– There are a handful of sellers who specialize making Titanic era dresses upcycled costumes. Edwardian style new hats- Some are decorated, but most are plain — perfect for adding you own flowers, feathers, and bows. Recollections – Has several nice Edwardian hats, gloves, lace shawls and parasols. Even the ones labeled Victorian will do well for this event. http://www.etsy.com/shop/madamehatsy Madame Hatsy — makes and sells a wide variety of historical hats. It was a sign of wealth and status for a lady to have fair skin. It meant she wasn’t like a laborer who toiled for work in the sun. Therefore, it was important that a lady carry a parasol with her while traveling outdoors. Solid fabric or lace parasols were an everyday accessory for women. My Victorian parasols page – Links to shop some great Victorian style parasols and umbrellas online. 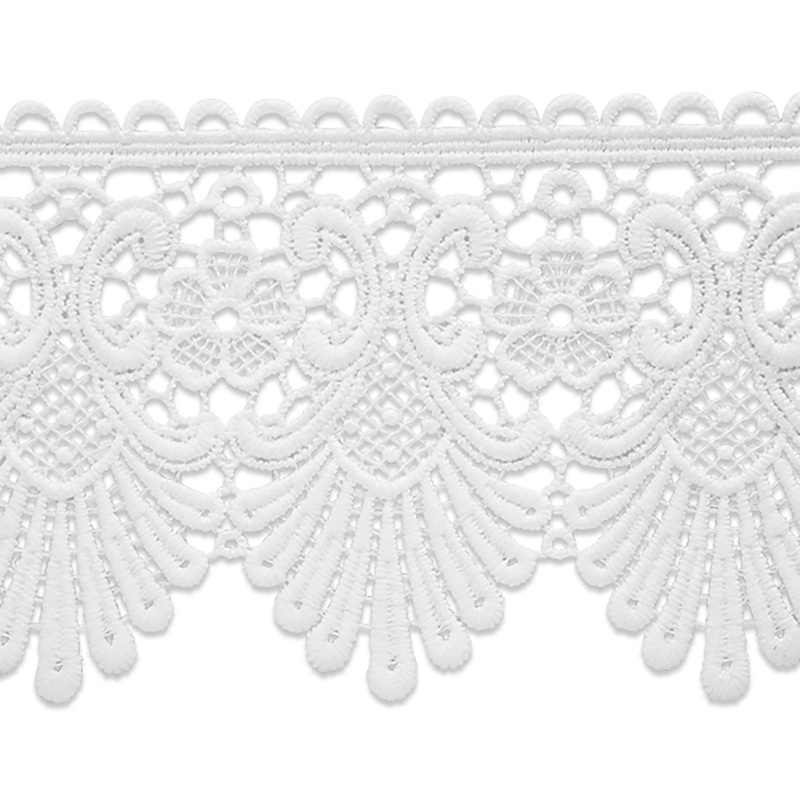 www.lace-parasols.com – Gorgeous lace parasols. Also, a few lace gloves and satchels. For day or evening, a woman always wore gloves. Day wear required dark or light kid leather gloves to match the outfit. 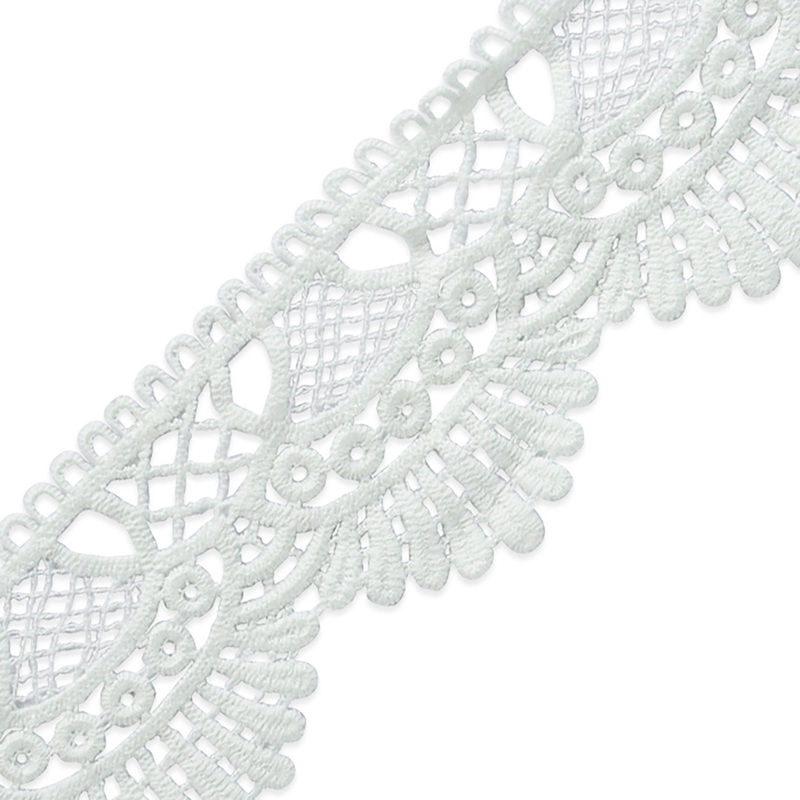 In the summer, lace gloves could be worn as well (and they are much more breathable than leather.) For evening wear, long white or cream kid leather gloves were preferred. Some fancy gloves were made of suede or silk and embroidered with lavish designs. Shop gloves here. TIP: The only time gloves could be taken off were when a lady was putting food in or eliminating food from her body. 🙂 Learn more about the history of gloves here. A silk embroidered shawl was a common accessory for both day and evening. Cool weather aboard the Titanic required a layer of warmth with style. Silk shawls or wraps were solid or patterned prints with tassels or beaded fringe along the bottom. They could be standard size shawls, like today’s wraps, or larger cocoon shaped velvet capes. Kimono jackets were also common. There has been a resurgence of fancy silk shawls over the last few years. They are still easy to find in a variety of colors to match your outfit. These new shawls and wraps work well for Titanic costumes. Titanic era shoes include lace up or button up tall boots with a French heel (think granny boots or witches’ boots). These came in black, brown, ivory white, or dyed to match a dress. Silk pumps with a low heel were called “slippers” and were a formal dinner shoe. Low heel Mary Jane shoes with one to four straps were also common for evening shoes. The working class often wore lace up Oxfords or canvas Mary Jane shoes. Learn more about Edwardian era shoes or shop Edwardian style shoes here. www.gbacg.org Excellent article on sewing a dress for the 1900 “teens.” A good history read even if you are buying a dress. The above article talks about fabrics to use with your patterns. I want to add that since oriental fabrics were in vogue you should consider using a Chinese, Japanese, or even Indian silk fabric. Sari fabric is a favorite with Titanic costumers. www.longago.com Large collection of Edwardian era patterns. 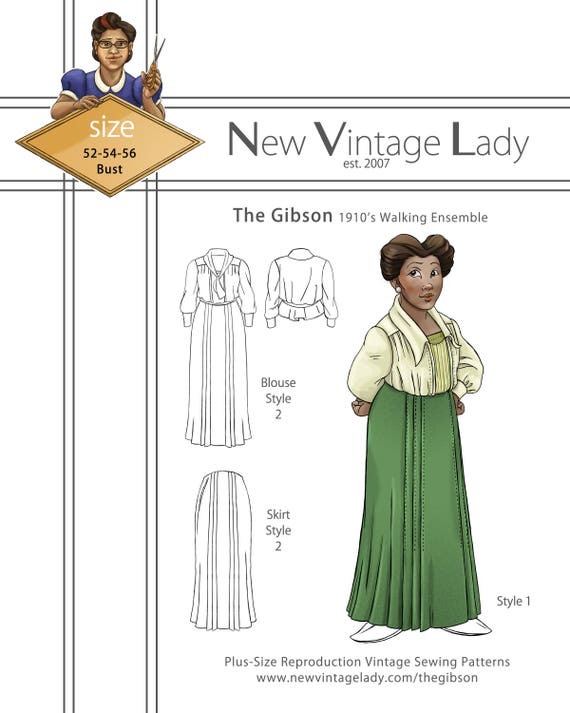 Hintofhistory – Basic pattern for 3 kimono style Dresses that you can download today. 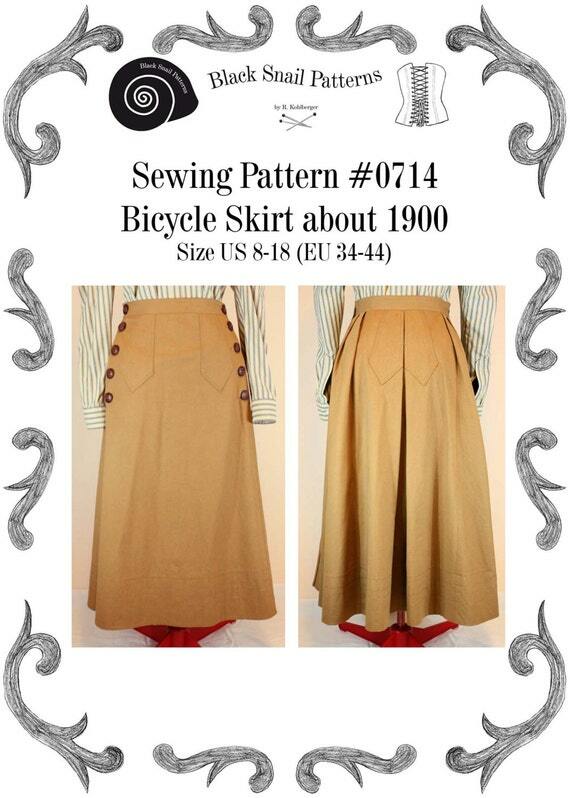 Butterick Misses’/Misses’ Petite Early 20th Century Costume Great choice for early mid 1910s walking suits. Leave a comment below or contact me via email if you have any questions about Titanic era clothing. Can you help? I am looking for a blonde ladies wig style 1873 New England for an amateur operatic show Carousel. Hi, my granddaughter has to dress for a Titanic event at her school, she is 9. I have found a pattern for a dress for children from the Titanic, also from what I can see the kids wore almost a Mary Jane shoe in brown. Did the children carry a shawl? Did they wore gloves? Did they wear a hat? Would appreciate any advice. Thank you. we are in a parade commemorating the titanic, and the Irish in particular! looking for ideas for everyday, or working clothes, both men and women–most of the Irish were in the bottom of the boat, so no formal clothes needed! if you have any pics or ideas, they would be greatly appreciated! 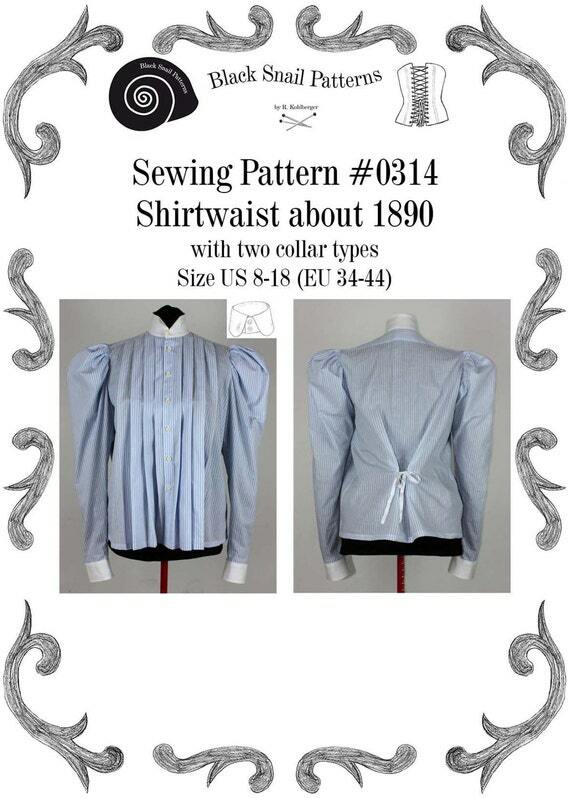 Hmmm yes let me get to work on researching third class clothing. Its more challenging than the first class passengers but I am sure I can at least find some good pictures. Thank you for the request! I have some beautiful Titanic inspired fashions that would be perfect for the cruise. Stroll on over and see what Blanche’s Place has to offer. This sound like such a great event.